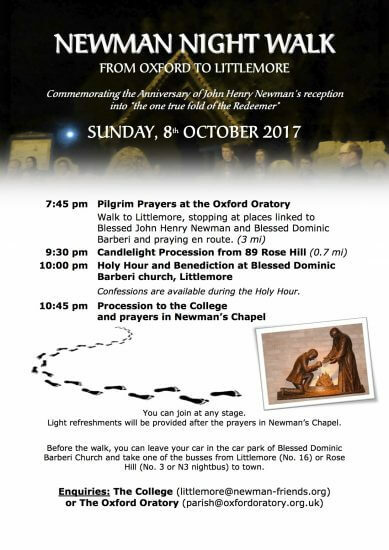 On Monday 9th October we shall celebrate the feast of Blessed John Henry Newman, our Cardinal. On Sunday 8th October we have the traditional Night Walk from here to Littlemore - see below. On Monday 9th October itself there will be a Solemn Mass at 6pm, at which Fr Richard Biggerstaff will preach.